South Sudan - IOM has been forced to suspend humanitarian activities in Wau Shilluk in South Sudan’s Upper Nile area due to violent clashes over the weekend putting thousands at risk. Due to this increased insecurity, IOM has had to post pone the registration of nearly 3,000 thousand vulnerable individuals for humanitarian assistance indefinitely. Clashes between Government and opposition forces began south of Wau Shilluk on 25 January and continued to spread in the direction of Wau Shilluk and Malakal town. The shelling gradually grew closer to Wau Shilluk on 27 January just as the 14-person IOM team was about to resume registration, forcing staff to evacuate to safer areas with the support of World Vision, which provides humanitarian aid in the area. An estimated 2,000 to 3,000 people remained to be registered when the team was forced to evacuate. Between 16–26 January, 20,446 people were registered or verified as previously registered last year. 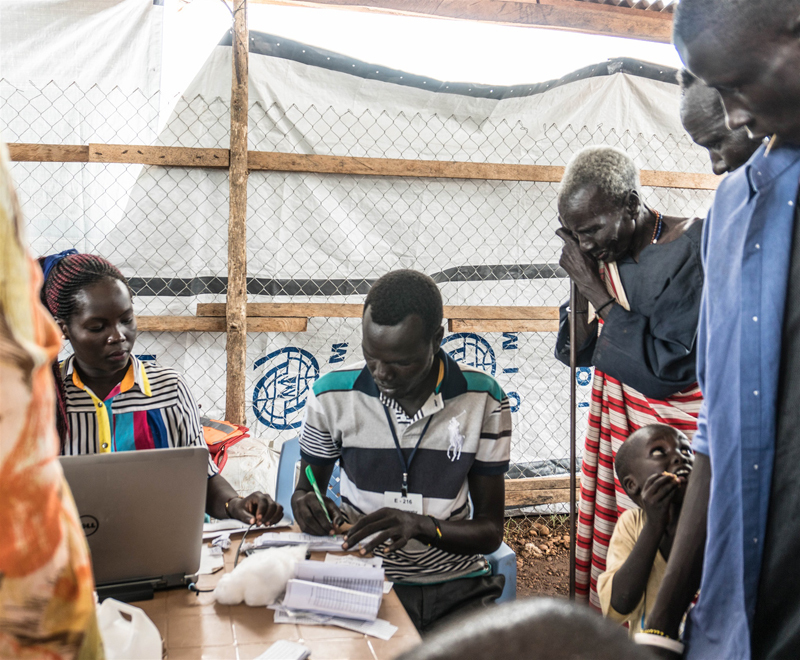 Maintaining accurate registration information informs more accurate response planning and tracking of displacement trends in the volatile Upper Nile region. Wau Shilluk is located across the White Nile River from Malakal town, one of South Sudan’s largest urban areas before the current crisis and home to more than 33,000 internally displaced persons (IDPs) who are sheltering at the protection of civilians (PoC) site. Displacement patterns in this area have remained fluid in recent years. July and August 2015 saw a rapid influx of IDPs traveling from Wau Shilluk to the Malakal PoC site due to deteriorating conditions in Wau Shilluk following months of limited humanitarian access. Recently, when river access reopened in November 2016, IOM estimates that between 12 November and 30 December more than 2,000 people left the Malakal PoC site to travel to Wau Shilluk to re-join family members, cultivate land or proceed on to refugee camps in Sudan. Only 60 percent of these indicated that they intended to leave permanently. Separately, fighting in Renk, Upper Nile, on 30 January, halted IOM health operations in the area due to ongoing shelling and small arms fire. Through static clinics and rapid response teams, IOM is providing primary health care to IDPs and host community members in Renk. As part of its maternal care programme, IOM is the sole provider of prevention of mother-to-child transmission of HIV/AIDS in the Renk area. Three years of civil crisis have left millions in need of lifesaving humanitarian aid in South Sudan. More than 1.83 million people have been displaced internally and another 1.17 million people have fled to neighbouring countries since the crisis erupted in December 2013. IOM continues to provide multi-sector humanitarian assistance to population in need across the country.